Welcome to Appliance Repair Cranford NJ! Our mission is to provide every customer with the same excellent service. We never discriminate against you based on the size of your job. Our job is simple; answer your request for quality appliance repair and installation service. We are the local company that cares. Our pros are devoted to appliance care. We administer home appliance service quickly, accurately, and at a nice rate. 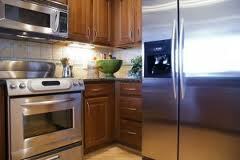 We provide quality appliance repair service in Cranford, New Jersey. We repair fridges, ovens, and microwaves. You can enlist us to fix freezers, dishwashers, washers, and dryers. The process is very simple. You give us a call and explain the problem. From there, we can try to narrow it down. Then we’ll send over an appliance technician. They will bring various parts and the proper tools for your appliance. Our technician will inspect the unit thoroughly and find the problem. Then we will administer the cost-effective repair in a hurry. Our experts provide the right repairs for your appliances. We’ll send an appliance service technician over to your home. They are prepared to confront any problem with your appliance. We will fix leaky washers and dishwashers. Our techs will fix dryers that won’t dry the clothing. You can call us when your gas stove won’t ignite. Our pros will replace heating elements in electric deposits. Finally, we will repair fridges and freezers that won’t keep food cold. Contact us for any home appliance, any problem, and all repairs. Another service we offer is the installation of appliances. Even if you can install the new microwave, let our kitchen appliance technician help for safety reasons alone. When it comes to large appliances, remember that they must be connected right to the gas line or electricity. Our experts can handle such services to your satisfaction. Call us to install dryers, washers, ovens, stoves, and more. We have the expertise. It takes training to provide the proper connections for an appliance to function properly. Let our experts provide the appliance service you need. If you think you need any of our quality services, we urge you to contact us today. We’ll take care of your appliance needs in an outstanding manner, quickly and reliably. Call Cranford Appliance Repair NJ now to learn more about our prices.